View of collapsed "Grotta dell'Allume"
The two hills near the harbour of Porto di Levante, collectively indicated as Faraglioni di Levante (plural in Italian), were once part of one hill called Faraglione di Levante (singular in Italian), eroded and disaggregated by combined effects of mechanical weathering, fumarolic fluids, and man's activity. [The Italian word 'faraglione', or 'faragghiune' in Sicilian dialect, means 'cliff']. Faraglione di Levante is considered the remain of an ancient volcanic conduit of indeterminable age (attributed to the 1st century BC by some authors). It was intensively mined for the aluminium-bearing sulfates used for the manufacture of alum. 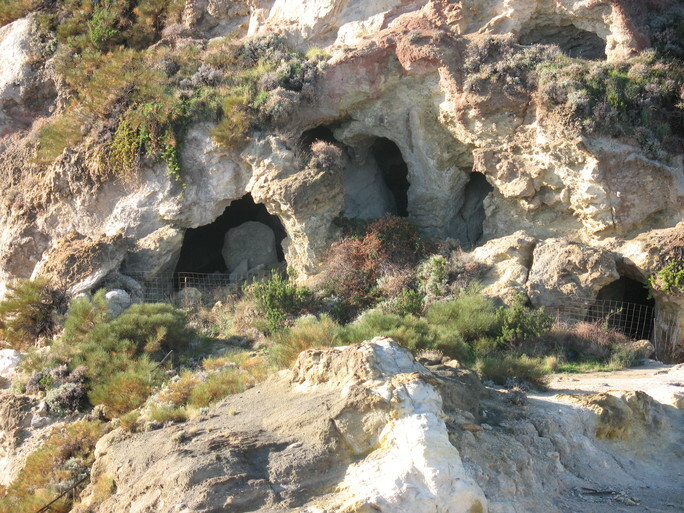 Its interior contained various cavities formerly known as Grotte del Faraglione and then as Grotte dei Faraglioni [see http://www.mindat.org/loc-271156.html]. Nowadays, the two hills appear as two monoliths separated by a little road: the small one, locally known as "Faragghiune Nicu" (whose Italianised version is Faraglione Nico or Faraglione Piccolo), is located on the north and the large one, locally known as "Faragghiune Ranni" (whose Italianised version is Faraglione Ranni or Faraglione Grande) on the south. 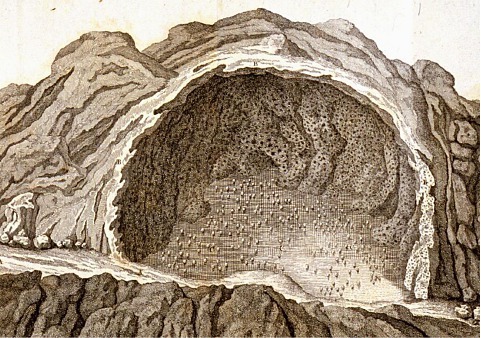 From a mineralogical point of view, of particular interest are the cavity named Grotta dell'Allume at the foot of Faraglione Nico, to date almost completely collapsed, and the large cavity inside Faraglione Ranni, sometimes referred to as Grotta del Faraglione, which is still accessible. For correct naming of the localities, and adding minerals to the correct locality, please see Campostrini et al. (2011) and also http://www.mindat.org/mesg-7-181492.html. However, in the literature there is frequent confusion between Grotta dell'Allume proper at Faraglione Nico and Grotta del Faraglione at Faraglione Ranni with consequent problems for the correct locality attribution to minerals. 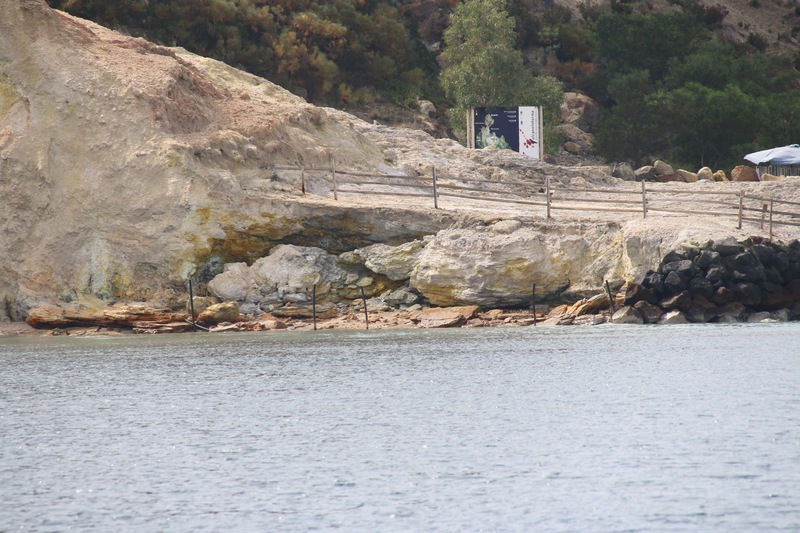 The area of Porto di Levante is characterised by fumarolic emissions, both along the beach and in the sea, diffuse CO2 degassing zones, and hot grounds. Fumaroles have a composition that shows H2O and CO2 as the major components, followed by H2S, H2, N2, CH4, Ar, He, and CO (in order of decreasing content), and discharge temperature of about 99-100°C. 34 valid minerals. 3 (TL) - type locality of valid minerals. Chiodini, G., Cioni, R. (1989): Gas geobaromertry for hydrothermal systems and its application to some Italian geothermal areas. Applied Geochemistry, 4, 465-472. Chiodini, G., Cioni, R., Marini, L., Panichi, C. (1995): Origin of the fumarolic fluids of Vulcano Island, Italy, and implications for the volcanic surveillance. Bullettin of Volcanology, 57, 99-110. Chiodini, G., Granieri, D., Avino, R., Caliro, S., Costa, A., Werner, C. (2005): Carbon dioxide diffuse degassing and estimation of heat realise from volcanic and hydrothermal systems. Journal of Geophysical Research, 110, B08204, doi:10.1029/2004JB00354.